At Centiel, we have built our reputation on delivering outstanding levels of UPS service. Our maintenance plans are designed to offer ongoing reliable power protection, that is flexible and cost-effective, ensuring that potential issues with internal components are detected at the earliest opportunity. 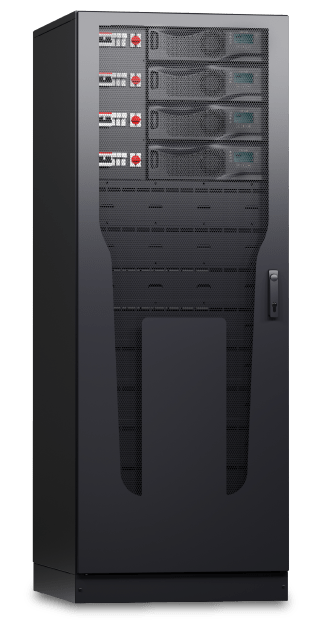 Advantages of regular UPS maintenance include the reduction in equipment malfunctions, extended equipment life, and improved system availability. Regular maintenance of your UPS battery system is critical to ensure backup power is there, when required. Regular maintenance of your UPS batteries is critical to ensure backup power is there when required. Our highly skilled engineers are trained to identify potential problems before a failure occurs. Monitoring the internal impedance at regular intervals allows for early detection of battery failure. Our advanced electronic UPS service and maintenance reporting software enables our engineers to provide you with comprehensive, onsite, real-time reports. Centiel offers a full installation and commissioning service. In order for us to provide you with the best solution for your power protection needs. One of our team of skilled engineers will conduct a free site survey to assess your critical power requirements, present and future. We will advise on location, environmental and practical restraints, and on electrical works which may need to be carried out in preparation for the installation of the new UPS. Working closely with you, our project team will manage the complete installation and commissioning of your UPS system. Our directly employed, manufacturer trained engineers will commission and test your power protection system providing full commissioning certification for warranty validation. Centiel has an experienced project team who can manage the relocation of your UPS system, whether you’re relocating within the same building or moving to a new location. Our team of skilled engineers will be responsible for the decommissioning and recommissioning of your UPS system, including the associated battery systems and electrical switchgear, whilst our experienced logistics team will ensure safe transportation. If you have a requirement to conduct an IST (Integrated System Test) Black Building Test, Centiel can assist you. Our highly-skilled and qualified engineers can attend site during your test to monitor your UPS. We service and maintain a wide range of UPS manufacturers including: Reillo, Newave sold in the UK as PowerWave, APC, Legrand, Inform, Socomec, Borri, Ablerex, Eaton, Liebert, Emerson, Chloride, Dale, Huawei and many more. Centiel’s network of highly skilled engineers can provide you with a free site survey to assess your power protection needs. We can help you to decide on the best technical solution to suit your needs and budget. We offer a variety of generator maintenance and servicing contracts to meet the requirements of today’s commercial environment. A maintenance contract is essential to ensure the continued reliability of your emergency power generation system.